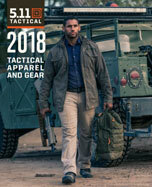 5.11 Tactical offers a full selection of uniform polos, tactical polos, and traditional men’s and women’s polo shirts for a wide range of situations. Whether long sleeve or short, 5.11 polo shirts are built to last, and offer numerous features designed to keep you cool, comfortable, and in control throughout your shift. Our tactical polo shirts offer enhanced utility and maximized durability to withstand punishing environments, while our professional polo shirts are engineered to maximize comfort, increase breathability, and keep you looking your best. Whether you’re shopping for high performance men’s polos with moisture management technology or a bike patrol polo that won’t slow you down, we’ve got the polo shirts you need at a price you can afford.